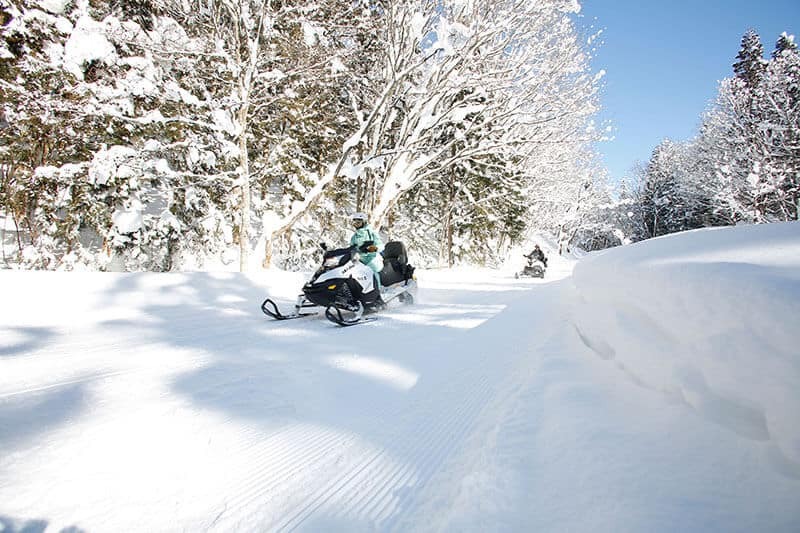 Myoko Snowmobile Land can be found at Suginohara ski resort. It offers a solo riding experience for those aged 16+ and the chance to ride tandem with an instructor if you are younger. Snow rafting is also available. 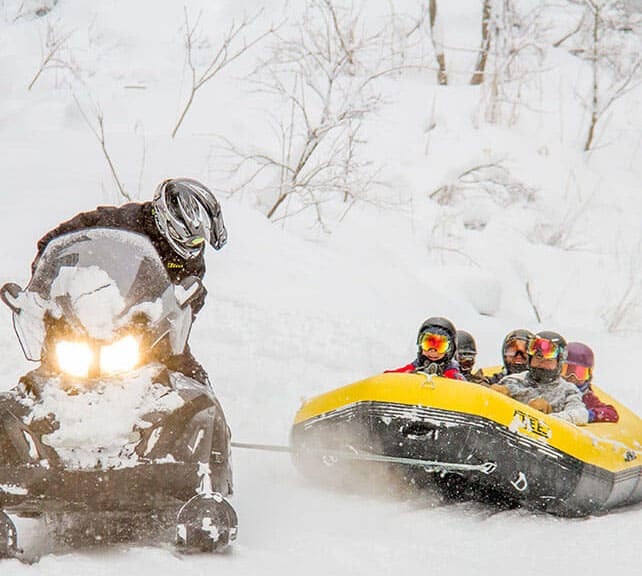 You can ride in the rafting boat and get pulled along by the snow mobiles around curves and over bumps. This is great fun for groups and families. You will need to take the trial course along with the tour course. 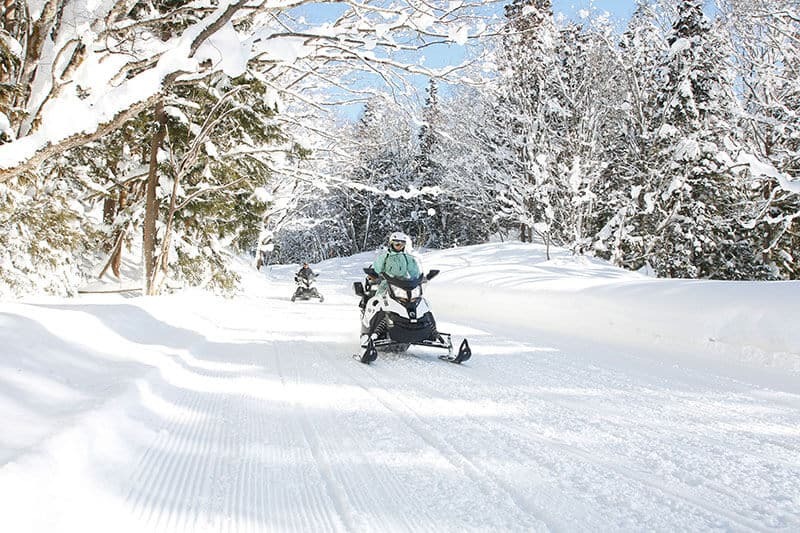 In the trial course an instructor will show you how to safely ride the snowmobile. Once you are comfortable you can proceed to the main tour course. Total riding time will be about 60mins. 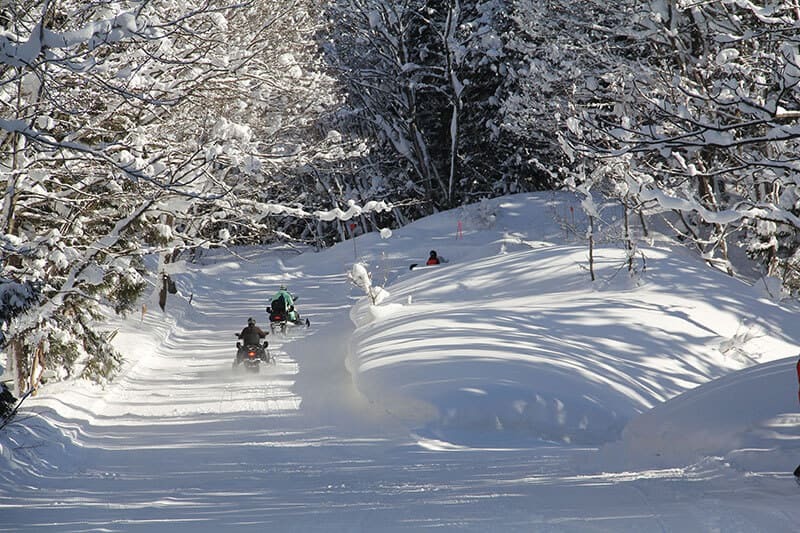 Completion Certificate of Myoko Snowmobile Land’s Trial Course or Yamaha’s Snowmobile License. This course tour is open twice a day, before noon and after noon, and each tour has a max capacity of 6 people. 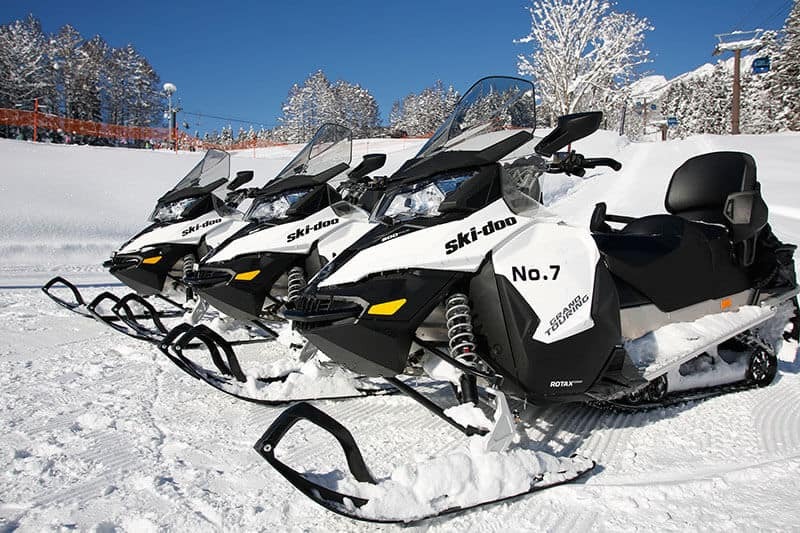 You can book on-line or in person by visiting the website or the office at Suginohara Ski Resort. Snow Rafting is the best option for you if you wish to enjoy the experience together with friends or family. Snow rafting is very easy and fun for everyone. The snowmobile pulls the raft and it swings the boat left and right up the snow bank walls and over bumps.